Are you looking for sewer camera inspection in NJ? First Choice Plumbing, Heating and Drain Service is a licensed and bonded plumbing company specializing in sewer camera inspection in NJ. We serve homeowners and business owners with prompt and professional sewer camera inspection to determine the condition of piping and sewer lines. We feature free estimates and affordable inspections, giving you the results you need while remaining within your budget. With First Choice Plumbing, Heating and Drain Service, you can be sure to receive expert service and long lasting results. Your sewer lines seem to be backed up - but you have no way of knowing what is causing the blockage. Instead of spending time and money on solutions that might not do the trick, call us to inspect your sewer lines. Older, smaller sewer lines are typically 6 inches in diameter, making it difficult to determine any problem without professional assistance. Our specialists work without delay to find and remove the blockage or problem. With 24/7 emergency service, you can expect expert service at any time, day or night, to bring you the relief you deserve. Sewer cameras have become an invaluable tool for plumbers and sewer specialists. Typically, sewer cameras are used on small diameter sewer lines, as well as household connection pipes, to precisely locate current or potential problems in your sewer lines. Previously, plumbers would have to manually dig out the sewer line, causing property damage to fix the problem. Fortunately, non-destructive sewer camera inspection ensures that your piping will not be affected as we find any problems within. Likewise, industry innovations have made clearing intruding roots or debris efficient with equipment and rooticide chemicals. Whether you are experiencing sewer blockage, sewer leakage, or any other sewer problem, our sewer camera will give you the answers you need to make informed extraction decisions. It is important that you call us when first suspecting a problem before larger structural or property damage occurs. Our sewer specialists will promptly inspect your lines and determine the right course of action. For more information about sewer camera inspection in NJ, call First Choice Plumbing, Heating and Drains at 201-288-0390. 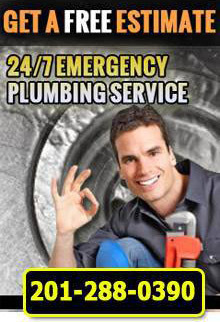 1st Choice Plumbing, Heating & Drain Service – Your trusted source for Sewer Camera Inspection in NJ.